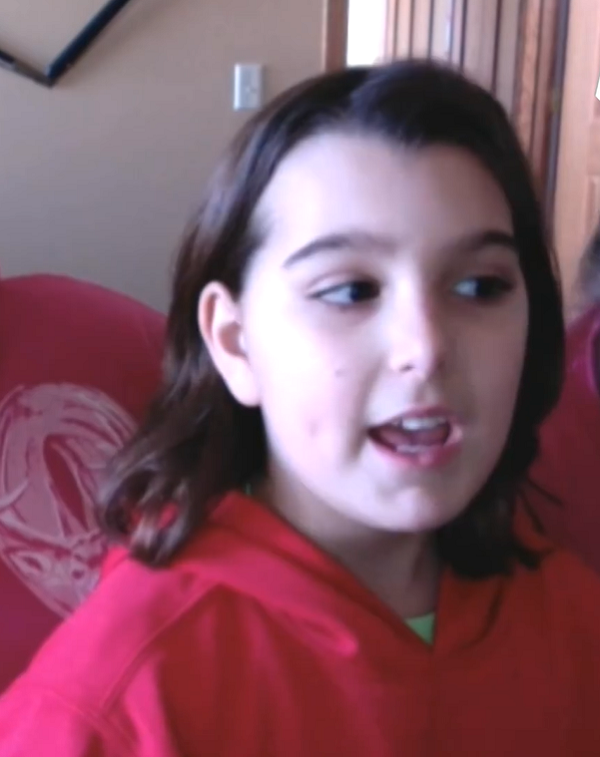 As Valary Andonoski stood among dozens of other young swimmers at her team’s division championship races, the little girl held just one wish in her heart. Her wish was not merely to win the race or beat her own personal best racing time, instead the child was praying to see her brother, Navy Nuclear Power Training Command Jeff Wolski. Jeff had been away on deployment for the past six months, and Valary’s heart ached to see him again. Little did Valary know, her brother had already set the plans in motion to be there for that very swim meet on that very day. 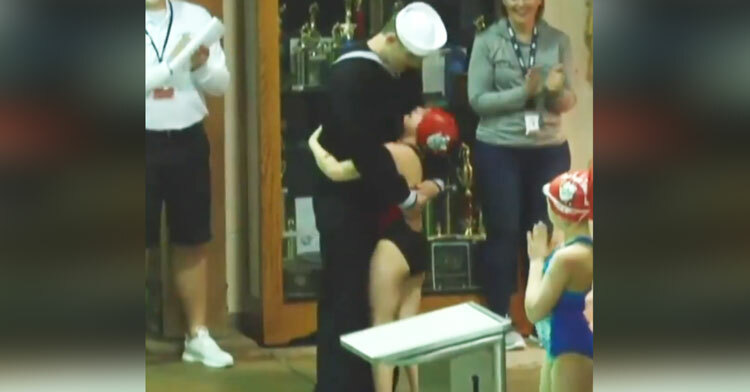 As her team stood to honor the nation’s veterans, both past and present, the announcers voice broke through the noise of the pool area to say they had a very special guest. Jeff strode into the room in his Navy uniform, and as he reached the edge of the pool his sister launched herself into his waiting embrace. Valary let the tears flow as she clung to Jeff, and you can see that Jeff is touched by how excited his sister is to see him. Later Valary explained that she’d burst into tears because she had actually made a birthday wish that he’d come home to see her, so seeing him there in the flesh was overwhelming! Sometimes wishes really do come true! Valary was so pumped up by her brother’s surprise visit that she went on to win first place in the swimming competition, beating her own personal best by a full ten seconds. Naturally, the best part of that sweet victory was being able to share it with Jeff. 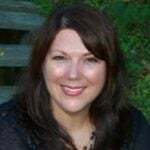 Watch Valary giving Jeff the hero’s welcome he deserves in the video below, and be sure to share to thank our military men and women for the sacrifices they make for our freedom. 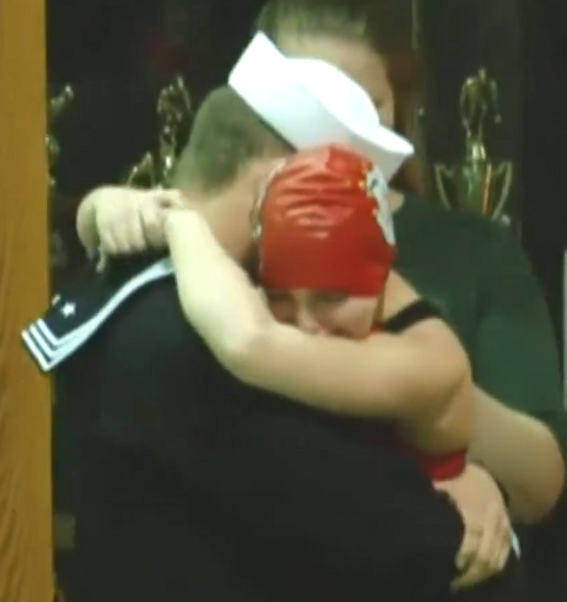 She wished to see her Navy brother for her birthday. She swam her heart out when it came true.